Yardzee is the outdoor version of Yahtzee. 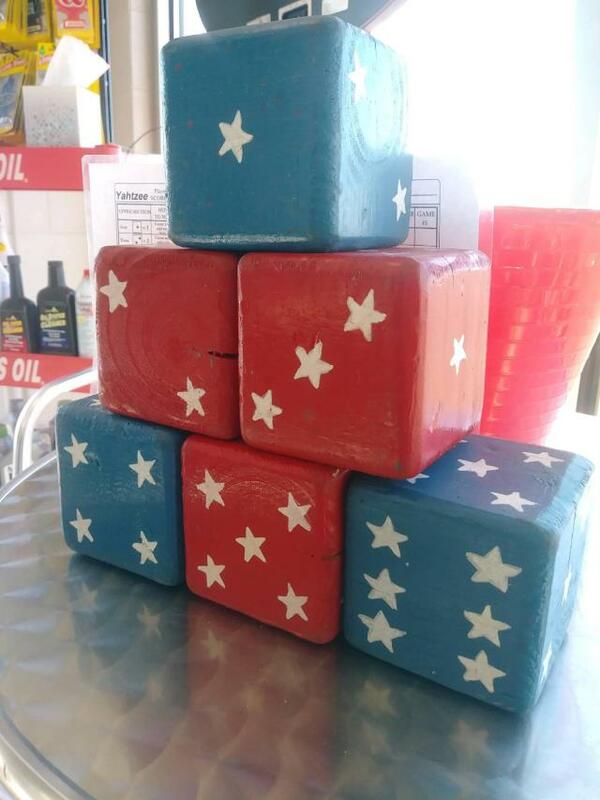 The dice are big, made of wood, and meant to be tossed on the ground. Take it to the park, the lake, to the neighbor's house, and anywhere you want to have a wonderfully fun time. Also perfect for barbeques, picnics, parties, and family reunions. * Please call us for any questions on our game yard yahtzee rentals in Hudson WI, New Richmond WI, Baldwin WI, Clayton WI, Osceola WI and Western Wisconsin.